makes classic-minded country music for the modern world. Raised in small-town Alabama, he’s a raw, natural songwriter, spinning the sounds and stories of the American South into songs that nod to the past while still chasing down new horizons. It was Harold Shedd — the music mogul responsible for signing Alabama, discovering Shania Twain, and producing Reba McEntire’s first gold record — who encouraged White to pursue music. A friend of Dee’s father, Shedd immediately saw something promising in the young teenager. Impressed with Dee’s unschooled, captivating voice and sharp writing chops, Shedd became an unlikely mentor. Although separated by nearly 70 years, the two quickly found common ground, bonding over old guitars, antique furniture, and enduring music. With his support, Dee began turning his focus toward songwriting, transforming a hobby into something far more potent. Not long after graduating high school, he sent his mentor a batch of original songs — including “Old Muddy River,” which would later find its way onto Southern Gentleman — and received an offer to come sharpen his craft in Nashville. Before recording his debut album, Southern Gentleman, White spent most of his high school free time on the water in Slapout, Alabama. A competitive fisherman, he visited Lake Jordan every afternoon as a teenager. He’d take along his phone, too, soundtracking those daily fishing trips with the sounds of Pandora radio. Almost by osmosis, the sounds of timeless country music seeped into his head, laying the brickwork for a career that would find eventually him co-writing songs in Nashville and duetting with Alison Krauss at the tender age of 19. Dee left college and began making trips to Tennessee, where he found another mentor in Dan Auerbach, producer and front man of The Black Keys. Together, the two co-wrote a number of new songs, often teaming up with additional composers in town. Alison Krauss sings on four songs, lending her gossamer harmonies to album standouts like “Bucket of Bolts” and “Tell the World I Do.” A world-class vocalist, she found a kindred spirit in the 19 year-old Dee, whose unforced vibrato and effortless tone floored her. Eventually, they whittled down the list of songs to two-dozen finalists. They then recorded all twenty-four songs in two weeks, using Auerbach’s studio — Easy Eye Sound, a playground of vintage gear and analog equipment — as their home base. Southern Gentleman features ten of those tunes, along with guest appearances by a number of titans from the folk, country, and bluegrass worlds. The guest list doesn’t stop there. Fellow Nashville newcomer Ashley McBryde duets with Dee on “Road That Goes Both Ways,” their voices backed by sweeping strings and steel guitar. Auerbach himself plays guitar throughout the album, while first-class sideman like Bobby Wood (keyboardist for Elvis Presley and Garth Brooks), Bubba Chrisman (drummer on Dusty Springfield’s “Son of a Preacher Man”), and Billy Sanford (the man behind Roy Orbison’s “Pretty Woman” guitar riff) all appear on multiple tracks. 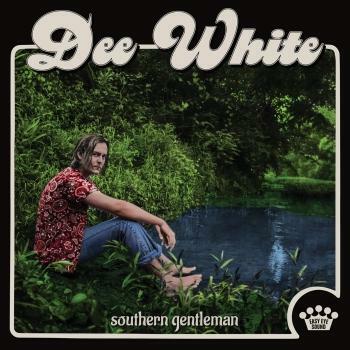 On an album filled with all-star musicians, however, it’s Dee White who shines the brightest, filling Southern Gentleman with a mix of youthful energy, rich lyrical metaphors — particularly “Rose of Alabama,” a cheating song dressed up as an achingly gorgeous ballad — and swooning melodies. “We were just trying to write standards,” says Dee. Stripped free of pitch correction and studio trickery, Southern Gentleman is an honest portrayal of a 20 year-old natural. Dee White’s songs are classics-in-the-making, inspired by traditional sounds but happily rooted in the 21st century. This isn’t a throwback record. Instead, it’s a contemporary, ageless album — one that packs just as strong a punch today as it would’ve 50 years ago.